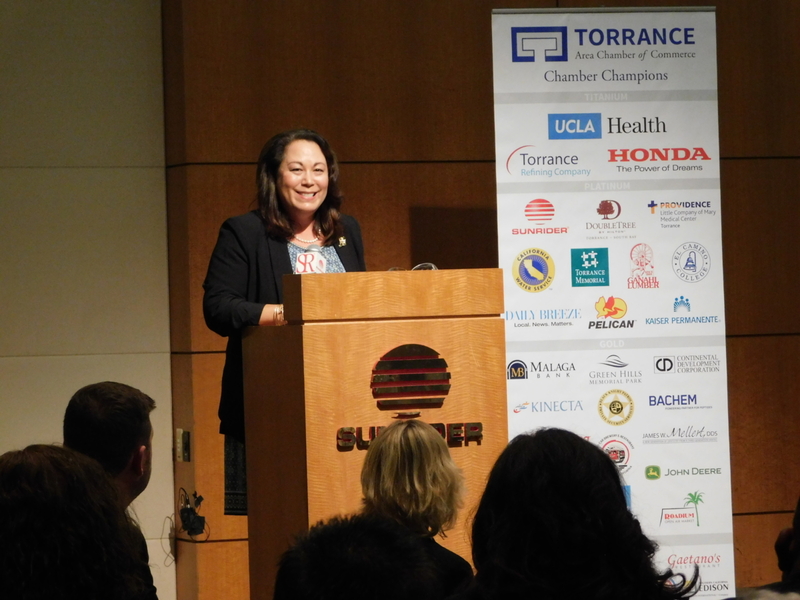 “Passion and purpose” – two qualities embodied by Barbara Graham, Community Relations Manager of the Torrance Refining Company LLC, recipient of the Torrance Area Chamber of Commerce’s (Chamber) 2019 Inspirational Leader Award. 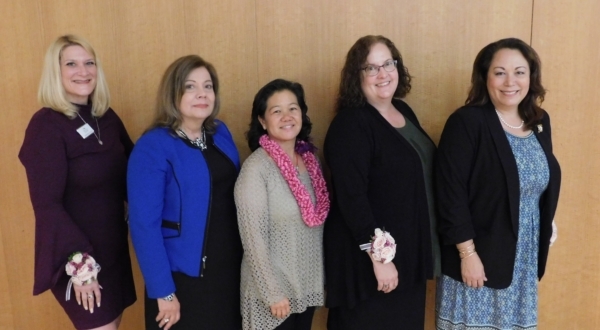 Barbara received the award on January 31st at the Chamber’s Women’s Leadership Luncheon in front of 240 attendees who braved unseasonably stormy weather to celebrate the remarkable achievements and business leadership of five Torrance-area women. Congratulations to Barbara and all the other dedicated women leaders honored at the event! To view a clip about the event, click here.